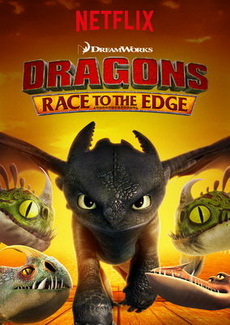 Dragons: Race to the Edge - Dagur the Deranged escapes from prison and ventures in the uncharted territories to build an armada against Hiccup and his Dragon Riders. 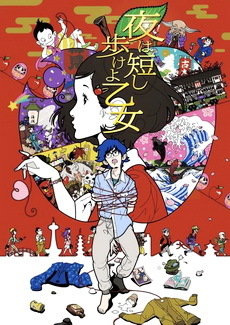 Coming across a cylinder (christened "Dragon Eye") that provides information on the uncharted territories, Hiccup and his quirky team search the region looking for both Dagur and hitherto unknown species of dragons, eventually leaving Berk to build for themselves a new and distant base of operations called Dragon's Edge. 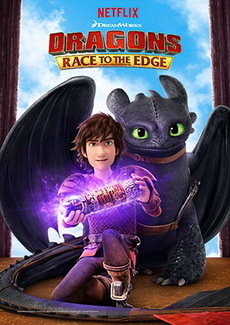 Dragons: Race to the Edge - Hiccup, Toothless and the rest of the Dragon Riders set up camp far from Berk and battle old enemies while discovering new dragons. From the creators of "How to Train Your Dragon" comes a new series that takes Hiccup and Toothless to the edge of adventure. 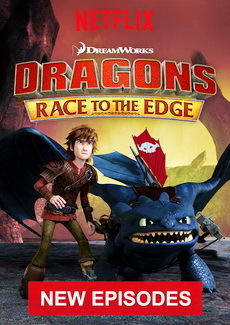 Hiccup and Toothless are back in an all-new action packed series DreamWorks Dragons: Race to the Edge. Their quest: to explore strange new worlds, seek out never-before-seen dragons and end the war between Vikings and dragons once and for all. 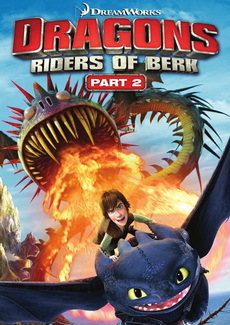 Dragons: Riders of Berk 2 - The further adventures of Hiccup and his friends on the Island of Berk. 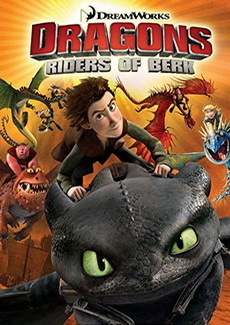 After Hiccup and his Night Fury companion, Toothless, saved the people of Berk by defeating the Red Death, they inspired the Vikings of Berk to make peace with the dragons. 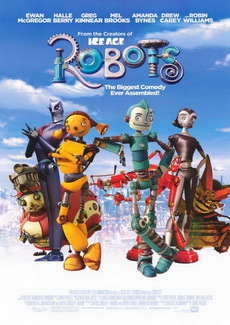 However, Hiccup learns that the co-habitation is far from harmonious with Viking ignorance and the Dragons' instincts threatening to destroy the alliance. 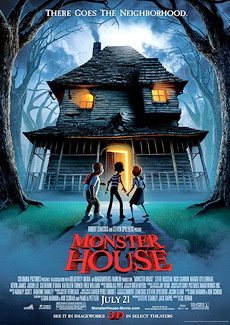 To solve the problem, Hiccup's father, Stoick the Vast, organizes the Berk Dragon Academy where his son and friends can learn all about Dragons. 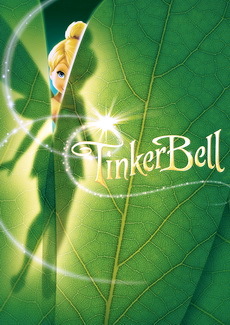 Even as grumpy doubters like Mildew and villains like Alvin the Treacherous oppose them, the Viking teens of Berk and their dragons dedicate themselves to achieving a vital understanding.